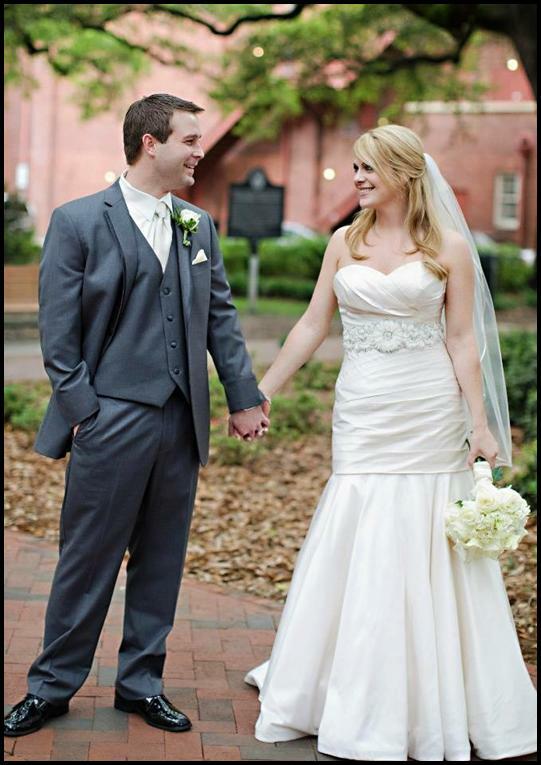 This past April, my daughter, Meghan, married her sweetheart, Daniel. 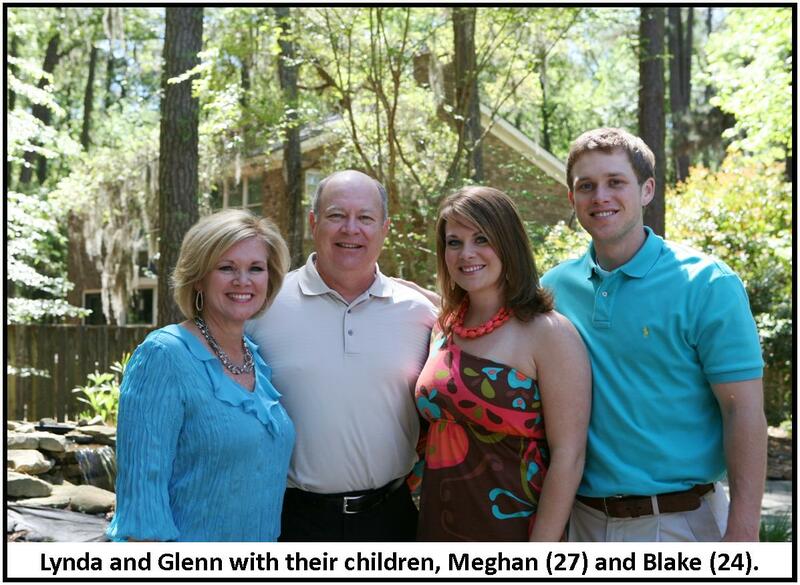 Glenn and I are so blessed, not to have lost a daughter, but to have gained an incredible son-in-law! We look back fondly and actually, just have to laugh as the month prior was … well, eventful, to say the least! From too-short bridesmaid’s dresses to a forgotten marriage license to a lost wedding dress at the drycleaners to a son-in-law’s new job taking him 12 hours away during the wedding week to bad weather causing him to miss the rehearsal and dinner (thankfully arriving in time for the happy couple to make it to the probate’s office to get that marriage license), it was quite the extravaganza. Oh and surprise, the florist was only a few hours late on wedding day! No big deal. It was absolutely the most beautiful wedding I have ever seen!! Just to brag a little, not only was she a beautiful bride, but Meghan also promoted to 2-Diamond-Designer just two weeks before her special day! It was a very Premier-filled wedding! Everywhere I looked, I could see Premier jewelry. Not only adorning more than half the guests, but on everyone in the wedding party! It is amazing how our jewelry can so easily transform between pieces we can wear with the most casual outfit every day to the glitz-and-glam pieces needed to add a little extra sparkle for a wedding. Bridesmaids accessorized their navy dresses with Premier Designs’ Stormy earrings and Special Day bracelets while I jazzed up my purple mother-of-the-bride dres s with the Liz earrings and the Special Day necklace (how appropriate for the special occasion). As her “something old,” Meghan wore a few retired pieces and as a unique personal touch, she added the Elaine bracelet as a keepsake for the grandmothers’ corsages. How sweet!! I’m still amazed when I reflect back on that day and all that happened. It was truly incredible to see God’s hand in not only the actual details but also the love between Meghan and Daniel. Daniel’s face when he first saw Meghan, was absolutely priceless! As he watched her walk towards him, he cried. He laughed. He couldn’t stop smiling. At one point, I really thought that he was going to run down the aisle and sweep her off her feet! As I watched them both, it reminded me of the unfailing love that God, our Father, has for us. My good friend, Dana Stroud, put it best: “that look is the closest thing we will ever see on Earth to the look that Jesus has for us. It’s a look of joy, love and intimacy that Jesus shows as He watches us step closer and closer to him, just as Meghan stepped closer and closer to her groom.” It gives me chill bumps to know that each one of us is loved by God just like that- multiplied by 1,000! What a special day! To be so clearly reminded of how much God loves each and every one of his children and to have so many precious memories with my daughter. We shared countless unforgettable moments as we planned her big day but ultimately, the best part for Glenn and me was that we watched our daughter marry the love of her life and know without a shadow of a doubt that this is the man who God made especially for her. It was the beginning of a whole new chapter in our lives. As our 2012 Tom Hemingway Excellence in Leadership award recipients, 7 Diamond Designers Lynda and Glenn Jones from Savannah, Georgia, have truly exhibited the qualities the award represents: demonstrated excellence in leadership, character, honesty, truthfulness and a desire to help and serve others. Jewelers since the fall of 1992, they have built their business faithfully and consistently by serving others and enriching lives. Their commitment to Premier’s Purpose and Philosophy have also earned them the prestigious Servant Leader Award in 2000 and the Vision Award in 2001. 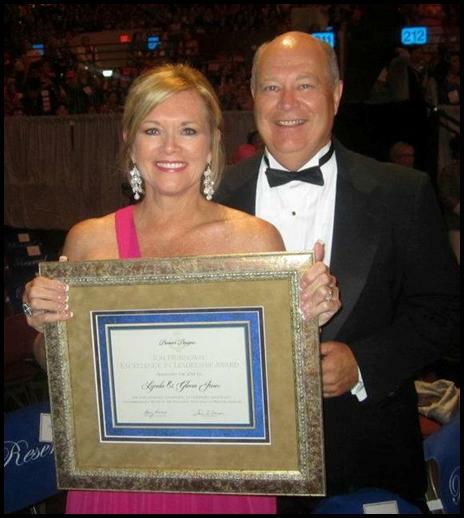 Glenn was chosen to be the 2003 Mr. Premier for his commitment to encouraging and serving his wife and to their Premier business. Lynda and Glenn have truly blessed many in their Premier family and beyond, but they would quickly say they are the ones who have been greatly enriched by Premier Designs Family. A beautiful description of how Premier is interwoven in your family and your life experiences! Awesome article. I appreciate how you have shared your knowledge with me during my short time in Premier. I am so thankful for a Premier sponsor that introduced me to Premier over 16 years ago. Lynda and Glenn shared Premier with me and my husband it forever changed our lives and the lives of our children. We LOVE Premier!